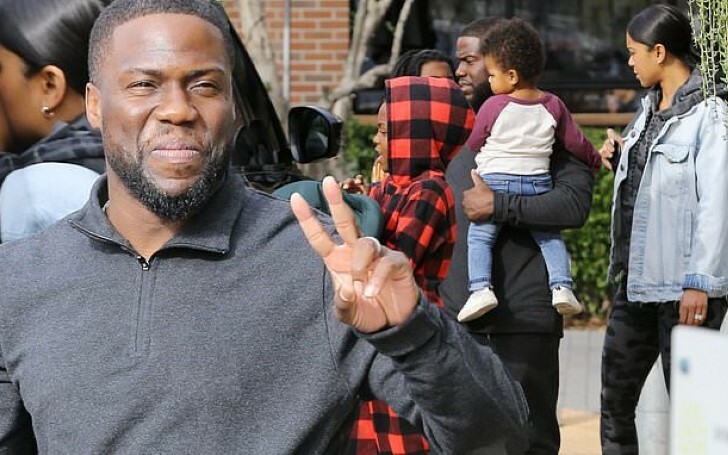 Kevin Hart enjoys lunch with family in LA and thanks his fans for supporting 'The Upside'. 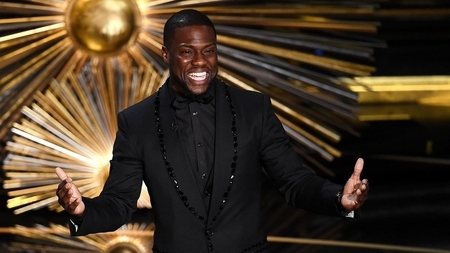 What a rollercoaster ride Kevin Hart went through merely in the last month or so. From facing criticism for his historic homophobic tweets to stepping down as the host for 2019 Oscars to now enjoying the success of his recently released movie, the actor undoubtedly experienced some ups and downs. Despite receiving critiques and being controversial, the actor knows how to bounce back too, as he currently enjoys The Upside's success. 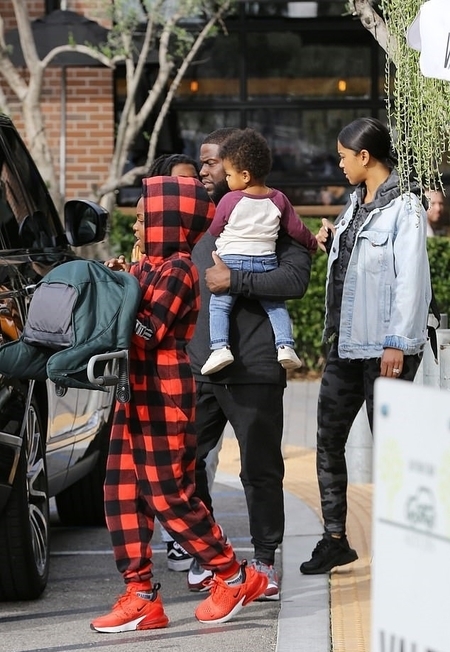 On Sunday, when paparazzi spotted Hart in Woodland Hills-LA with his family after finishing his lunch, the actor looked happier than ever. Along with him followed his wife and his kids, all dressed casually. The 39 years old actor looked comfy in dark grey sweatpants and a matching long sleeve sweatshirt. The actor completed his sporty look by wearing a pair of orange and grey sneakers. Likewise, his wife Eniko Parrish decided to go casual for the family lunch as well. Eniko wore a black and grey camouflage leggings followed by a grey hoodie, and a denim jacket. Parrish completed her look by wearing black sneakers. Despite the previous rough days, Kevin looked all smiley as he turned over to the camera to pose for a few pictures. Furthermore, Hart and his entire family looked adorable as they made their way into the SUV. "Our 2nd week in theaters is shaping up to be just as big as the 1st week & it’s because of you guys. Thank you all for supporting this movie...I love my fans!!!!!! Make sure you go see “The Upside” ASAP....the movie does not disappoint!!!! #TheUpside #nowplaying"
Following the success of The Upside, the actor is reportedly offered two movies already. As per The Daily Mail, Hart will be playing a dramatic film called 'Fatherhood', by director Paul Weitz. Furthermore, Kevin will also be starring in live-action movie 'Monopoly' helmed by Tim Story.